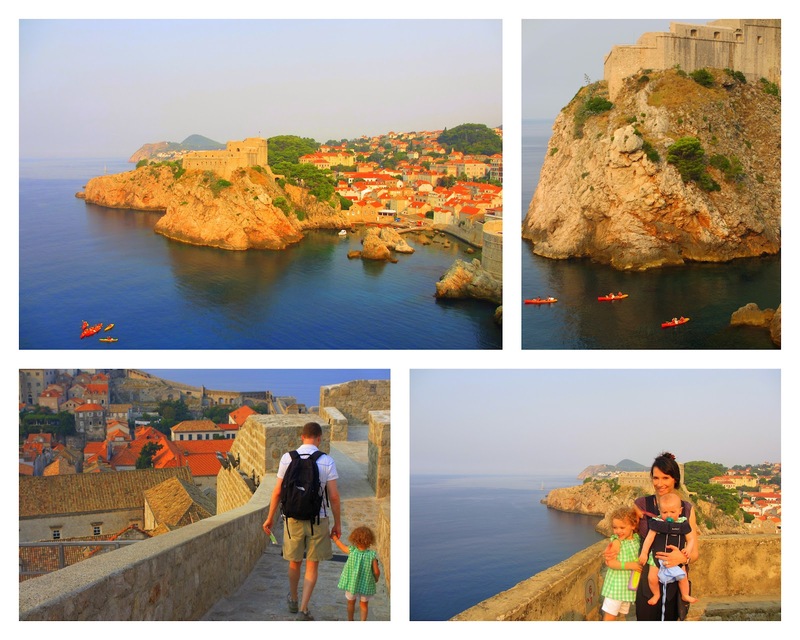 It didn't take us long to discover why Dubrovnik is called "the Pearl of the Adriatic." The city is, in a word, breathtaking. 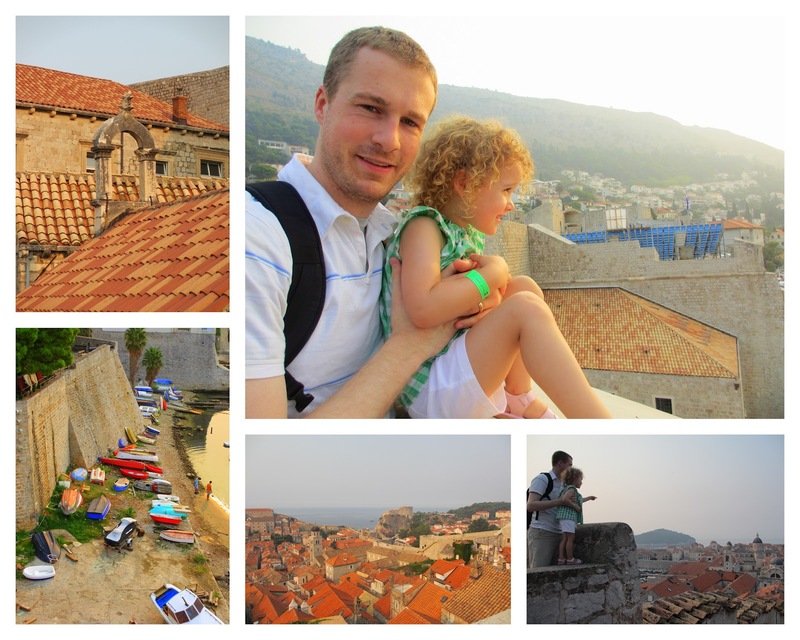 Truth be told, my breathlessness was caused in part to my current out-of-shapeness combined with the fact that Dubrovnik is a city surrounded by steep, ascending and descending walls. And Paddy wasn't much for walking that day, so I felt obliged to tote him around in the Baby Bjorn. 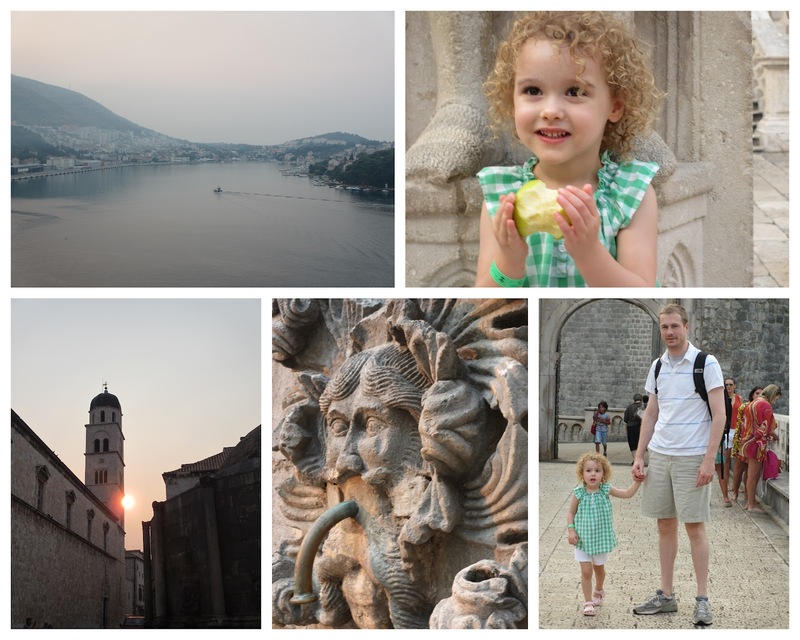 Luckily, both Paddy and CC seemed to appreciate Dubrovnik's beauty as much as Russell and I did, so it was a very good day in Durovnik. 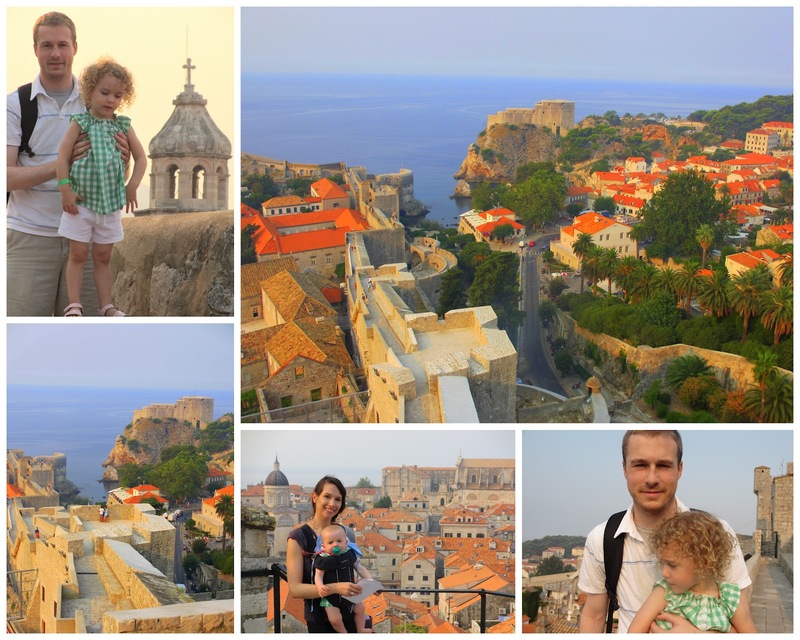 Our ship floated through the fog into Dubrovnik early in the morning, revealing a well wooded coast, sandy beaches and a beautiful old city surrounded by medieval walls. The city is beautiful, peaceful and car free. If you didn't know it, you'd never suspect that it had been plagued with floods, earthquakes and most recently, during 1991-1992, a violent eight month seige involving daily bombings following its declaration of independence from Yugoslavia. Following the seige, the Croatians quickly restored this city to its pre-war glory, using the same craftmanship and building materials originally used to construct this medieval city. We were "wall ready" by eight a.m. sharp. 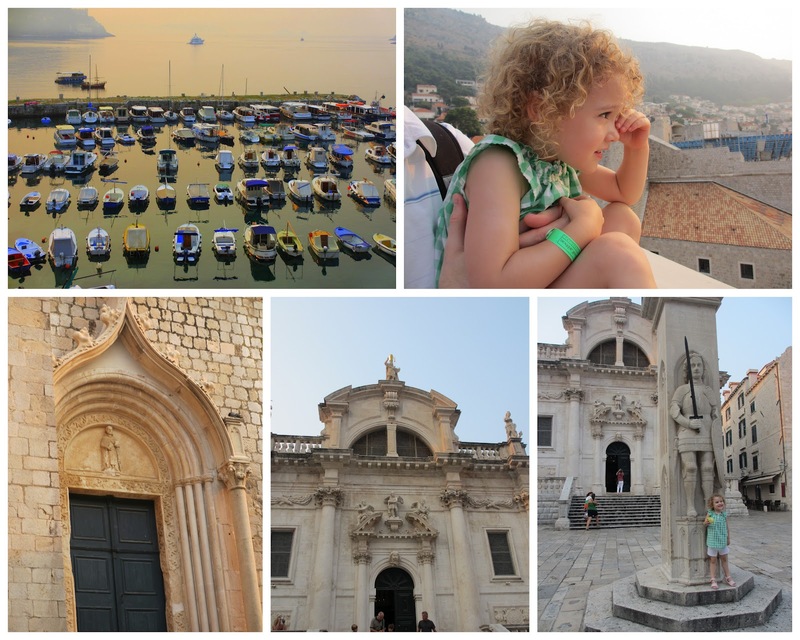 This was the perfect time to walk the walls and observe the peaceful town and the Adriatic. It was just us and the senior citizens. The views from the heigh points of the wall were amazing. We just periodically stopped, stared and snapped photos. Luckily, there were various ice cream shops stationed along the walk. Although this city has been surrounded by walls since the twelfth centure, it was not until the 1991 seige that the walls were actually used. A stronghold during the war proved to be a Napoleonic era fortress atop Mt. Srt. Napoleon had actually built the fort to keep an eye on the Croatians. Ordinary citizens took the walls and forts to help defend their city, which up to this time, had been a peaceful and coveted tourist destination. For Russell and me, the views were amazing and the heart and history of the Croatians were inspiring. 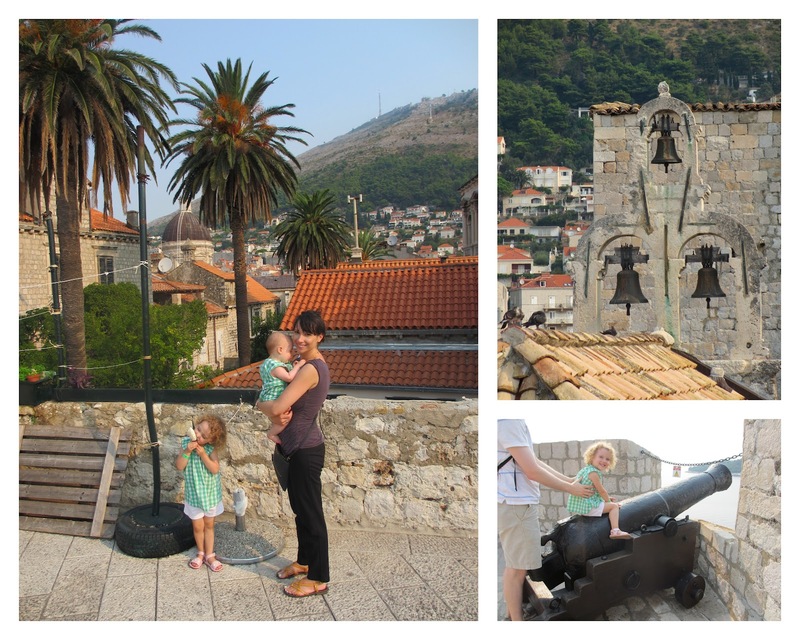 For Claudia, the ice cream and multitude of cannons were just what she was looking for. Dubrovnik. There's something for everyone! And I suspect (or at least hope) this isn't our last Croatian vacation. It's beautiful national park is just a five hour (maybe add two more hours for the kids) drive from Budapest. I'm itching to go there next spring.